A group of Afghan men marched through the capital, Kabul, on Thursday to draw attention to women's rights by donning head-to-toe burqas that for many people worldwide have come to symbolize the suppression of women. The hardline Taliban forced women to wear burqas in public during their rule in the 1990s and concern is growing in Afghanistan and among its allies that gains for women made since the 2001 U.S.-led ouster of the Taliban are at risk. 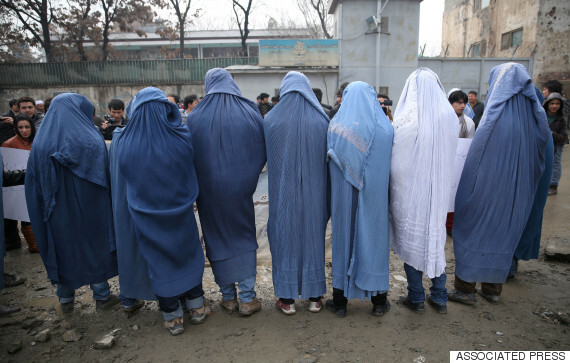 "One of the best ways to understand how women feel is to walk around and wear a burqa."